I've been enjoying festive colours especially glitter on my nails recently, if you're looking for a festive glitter polish I think Models Own would be the right place to look. They have a great selection of glitters, lots of different colours and finishes. I've been wearing the limited edition Clothes Show polish Show Stopper over the top of a darker polish for an intense look. The glitter really shows up and glistens under the light. The Mirrorball collection looks stunning and striking, where as the new Wonderland collection looks frosty and fun. I love the look of both collections and one glitter which is still a firm favourite of mine is the gorgeous Pink Fizz, a rose gold pink which is so pretty. I wanted to give you heads up in case you don't already know, when you purchase any 2 Models Own products you get the mini Nail Art Kit (RRP £10) FREE! 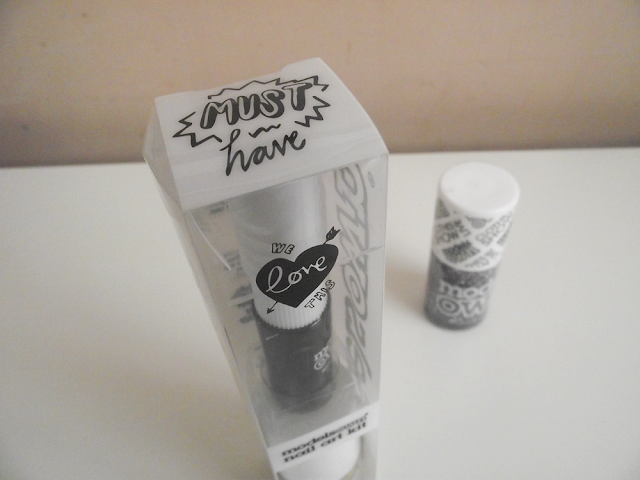 The kit contains a Models own polish to use as a base and the classic Models Own Nail Art Pen in Black. So get yours until the 25th December! Make sure you take a photo and take part in the #swatched section of the Models own website. They've created a page especially dedicated to fans showing off the gorgeous selection of polishes. Another great way of looking at the polishes already on. Have you been enjoying festive nails this season?